If you’re part way through your PhD, you will no doubt spend some time thinking about what comes next – a post-doc fellowship, a research post, a teaching job. Whatever you do, you will probably also be thinking about how you can get your research funded. That might be a fellowship where you’re funded to pursue the project you want to do; they’re scarce, and very competitive, but well worth thinking about. More likely, for those of us who don’t get that type of post-doc, you’ll be thinking about whether there are any smaller pots of money that will allow you to pursue your particular interests alongside being a researcher on someone else’s project, or a teaching fellow, or similar post. Whatever route you take, it’s worth thinking about how you can make yourself into the sort of person a funding body wants to fund, and how you can demonstrate that you’re worth the risk. Cast your net widely in terms of sources of funding. Keep an eye on the calls and deadlines from all the big funders in your field (e.g. ESRC, AHRC, Wellcome, Nuffield, Leverhulme, British Academy), but also check out smaller funders – professional bodies, charities and so on. Look into what your institution has to offer – they may have small pots of money for postgrads to attend conferences, to run a symposium, to do a small piece of pilot work. Take all the advice you can find – look at the guidance that each funder offers that’s specific to them and their schemes, but also attend training run by your institution, and by BSA study groups and so on. Think about small amounts of funding in terms of building blocks which will get you (and your CV) to the point where you look like a good bet – someone has taken a risk on you, given you some funding, and you’ve used it well, stuck to the budget, achieved your outcomes. Think about what makes a successful proposal, and how you can demonstrate that you can deliver on that – is your project/proposal realistic? Is it value for money (which is not the same as cheap)? Have you got the expertise, or is there someone on your team who has? If you haven’t got a lot of experience, is there someone on the team who will be your mentor? Find a mentor, someone with experience of getting funded and getting published, who has the time to support you. It only needs to be an hour a month, or maybe even less, but having someone to chat to, who isn’t necessarily connected to your current project, can bring a different perspective to bear. A good critical friend is worth their weight in gold. Don’t get downhearted. It’s easy for me to say, but rejection is more common than success in academia. You’ll get more applications turned down than funded, probably, and it’s a horrible feeling. So chuck the rejection to one side, go and eat chocolate, drink tea, run round the park, whatever is your way of letting off steam. Then ask your mentor, or your critical friend, to have a look at the reviewers’ comments with you. See what you can salvage. Can you submit somewhere else? Can you revise? What can you rework? 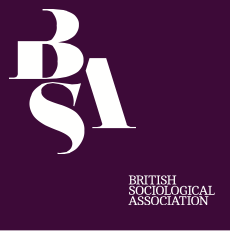 Join groups, such as BSA study groups, to find support – and provide support too! If you can’t find a group that meets your needs, set one up, in your institution, or across your region. Putting these kinds of building blocks in place will help you to get to where you think you want to be, even if you don’t get there in a straight line. The big research grant is something to aim for, and there’s plenty you can do on the way. Something like being funded to hold a seminar or workshop with interesting keynote speakers which is well attended helps you in terms of having something on your CV, as well as enabling you to expand your networks. It can also be fun! A symposium I got funding for, from the Foundation for the Sociology of Health and Illness (FHSI), meant I could invite a range of people whose work I admired to come and speak to other people interested in the same topic (in this case, men’s health and masculinity). Once you’ve got those networks, you can find people to work with – maybe put an application for something together jointly (that’s how my second FHSI grant came about) or think about writing together. So, you’ve already got plenty on your plate if you’re a PhD student, and this might feel like yet another set of tasks to add to the never-ending to-do list that will lead to the holy grail of a job. Hopefully, this blogpost doesn’t feel like another source of stress (that’s not my intention! ), but instead has given you a few ideas not only about how to get funded, but also about the sorts of things you can do to be supported in that. Dr Sally Brown is a lecturer in the School of Applied Sciences at Edinburgh Napier university, specialising in the sociology of health and illness, and research methods. Her research focusses on young people’s health and wellbeing, particularly sexual and mental health. Her book, ‘Teenage pregnancy, parenting and intergenerational relations’, was published by Palgrave Macmillan in 2016. Follow Sally on Twitter: @sal_brown.